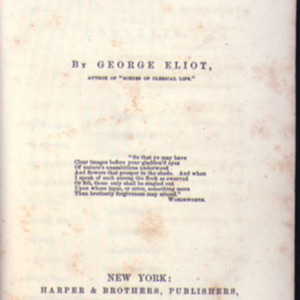 Evans, Mary Ann [George Eliot]. Adam Bede. New York: Harper, 1859. Gift of Rev. William Wyllie. 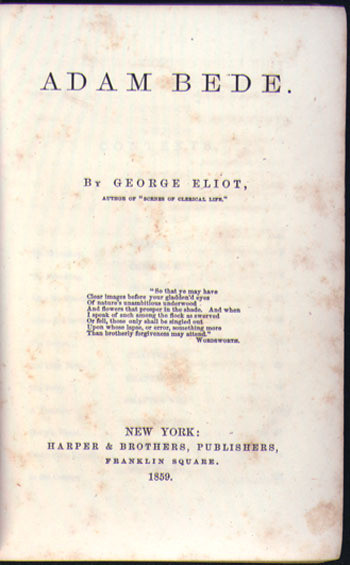 “Adam Bede,” University of Virginia Library Online Exhibits, accessed April 20, 2019, https://explore.lib.virginia.edu/items/show/599.